Congrats to all finishers at the Fall Classic! 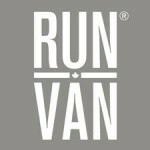 The Fall Classic is now organized annually by local non-profit Vancouver International Marathon Society RUNVAN®. Join in! Top three male and female runners by age category will also be awarded prizes. under 14 (5KM & 10KM only); 15-19 (5KM & 10KM only); under 19; 20-29; 30-39; 40-49; 50-59; 60-69; 70-79; 80-89; 90-99; 100 and above. Gun time is the official time for the top three overall winners. Chip time will determine age group awards. Please seed yourself appropriately at the Start Line. Awards will also be presented to the largest team.